Many people are always looking for affordable/cheap things these days. I am no different for some things. When I decided to take up jogging, I wanted something that I could fit in my pocket that wouldn’t break the bank. Naturally I decided to check Armslist. It was there that I really decided to do some research on the SCCY CPX-2 since I found a dealer selling them for $245 brand new. With an MSRP around $330, and a street price around $300, this deal seemed like a no brainer. I did a little bit of research, then jumped on it. After holding it in my hands, putting it in my pocket, and getting a feel for the seller, I walked out with my new firearm after only paying $245 for it (that included tax and the background check. Crazy, I know). For the $245 I paid, you get one hell of a gun, and quite a bit with it. It looks good, feels good in the hand, and shoots well. Now my every day carry is a full sized 1911, so I’m used to heavy guns, all metal, and a big ol’ .45 round. This thing felt very small in my hand, yet big at the same time (if you are able to understand that). It shoots a 9mm round, and it’s a double stack magazine. Both of those factors mean you’re most likely going to have a bigger gun all around. As I mentioned, I was looking for a pocket gun. This is a little big for that in some cases. This does fit in most of my jeans, and most of my shorts with the pinky extension. It does print a little due to its width, which may be a problem for you. However, if you have bigger pockets, it will feel/fit fine. 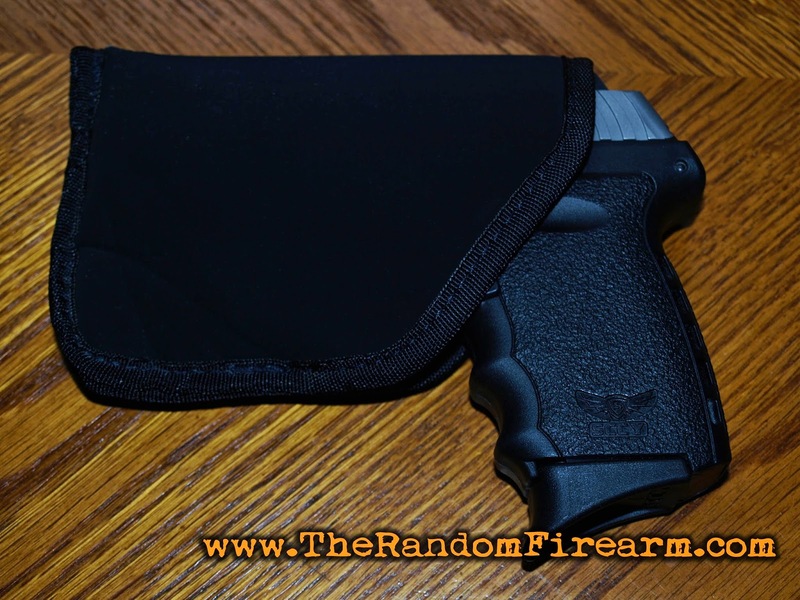 I keep it in a cheap Blackhawk Sporter inside-the-pocket holster (size four) that I found at Walmart for $10. 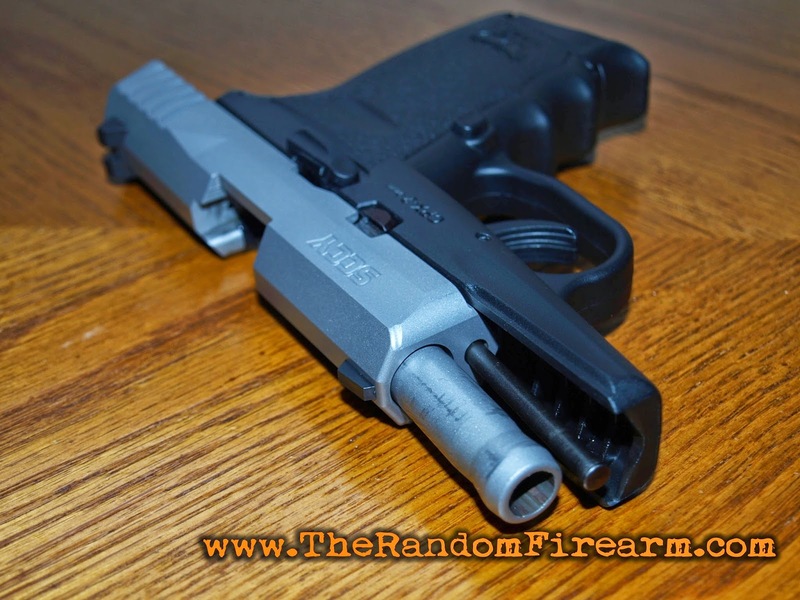 The flat finish on the stainless steel slide paired with the black polymer frame really makes this gun look like costs a lot more than it does. The finger grooves in the grip paired with side and back being stippled almost to the slide really give you a good grip/feel on the firearm. The fixed three dot sights are very visible and sturdy. The gun comes with a “cushioned” backstrap designed to make recoil less aggressive, but I honestly didn’t notice anything extraordinary. As I mentioned, it comes with a three dot sight system that is highly visible, yet doesn’t physically stick out too high. The version I have has no external safety, which I prefer. The original slide lock/release was a flat and flush piece of metal. It was almost impossible to use since it was so small and stiff. After a warranty service, that I’ll get into later, SCCY replaced it with an uglier yet VERY easy to use polymer coated one. The magazines, parts, and gun itself are all made in house, making this 100% American made. Firing this little gun is as easy as pulling the trigger, for a long time. Since this firearm has no safety, and it’s double action only, it has a very long and very heavy trigger pull. However, it is very smooth and predicable. There is a very short amount of play/travel a very slight grit moment, then a smooth, heavy, predicable pull and break. The reset is smooth and forceful (in a good way). 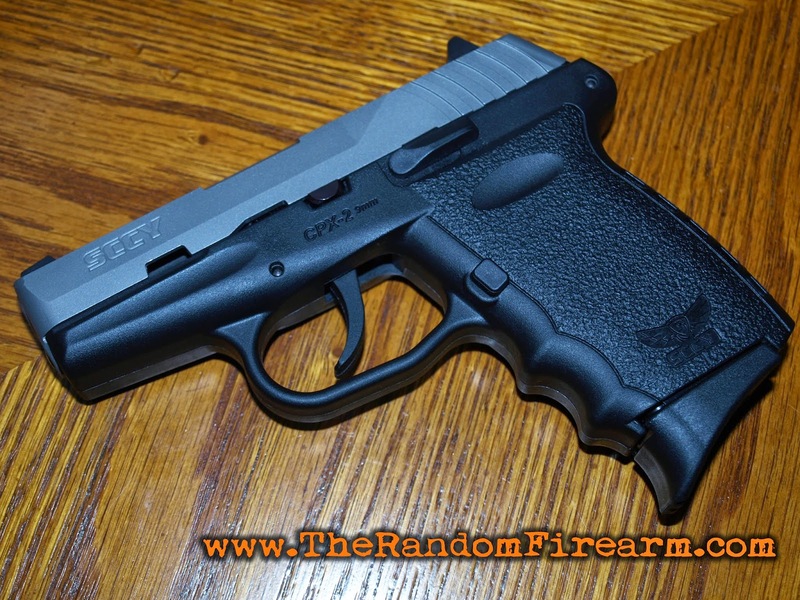 It’s not really what you expect from a “cheap” handgun. There is some recoil, but it is very manageable. Keep in mind that this is a relatively small gun firing a 9mm. The recoil is snappy, but if you are familiar with firearms, it’s no big deal. I think the first part of your hand that would get fatigued from shooting it for long periods of time would actually be your trigger finger from the long and heavy pulls. Accuracy is what you would expect from a little gun: you will hit your target at 25 feet, but beyond that, you should take your time. At 45 feet, I accidently shot the binder clip off that was holding my target in place. I was slinging lead a little faster then I should have been for accuracy, so the fault was mine. Loading the magazines out of the box was VERY difficult. I could only get eight rounds in one, and nine in the other. SCCY advised me to load them as best as I could, let them sit for a week, and try again. That loosened the spring, and now they load very easily. Let me just plainly put this: the warranty service is EXCELLENT. I will be giving the warranty service its own review shortly, so I’ll keep this short. I have had two problems, one minor and on major, and both were corrected quickly at no cost to me without question. The first time I took the CPX-2 to the range, it was flawless! The second time I was having a failure to extract about every other round with both magazines and brand new brass cased ammo. I will be brief here because I want to do a full review on the warranty service, but all I did was email them about the problem, I sent it out, and it was returned with a new slide in a week. It was a strange situation, but that will hurt the reliability factor. The gun itself has parts that are somewhat loose fitting in the gun. What other gun has loose tolerances that lasts forever? That’s right, the AK-47. Let’s see if that works for the SCCY as well. 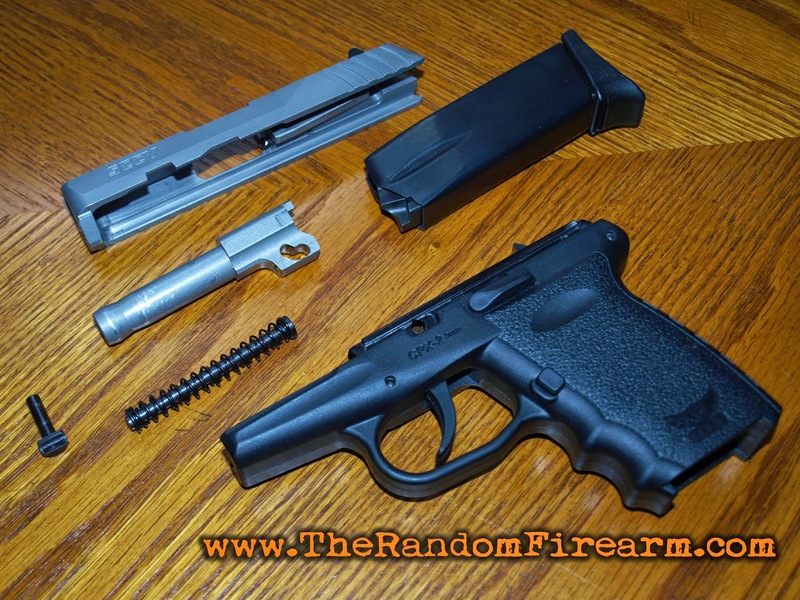 Taking this gun apart and putting it back together is very straight forward and easy. You do need a flat head screwdriver, or something like that, to take out the one pin holding it together, but aside from that, it’s simple. All in all, I really like this gun, and it remains my pocket carry gun when I don’t feel like having the 1911 on my hip. I cannot say enough good things about the warranty service provided by SCCY, and you really can’t go wrong with the price of this. 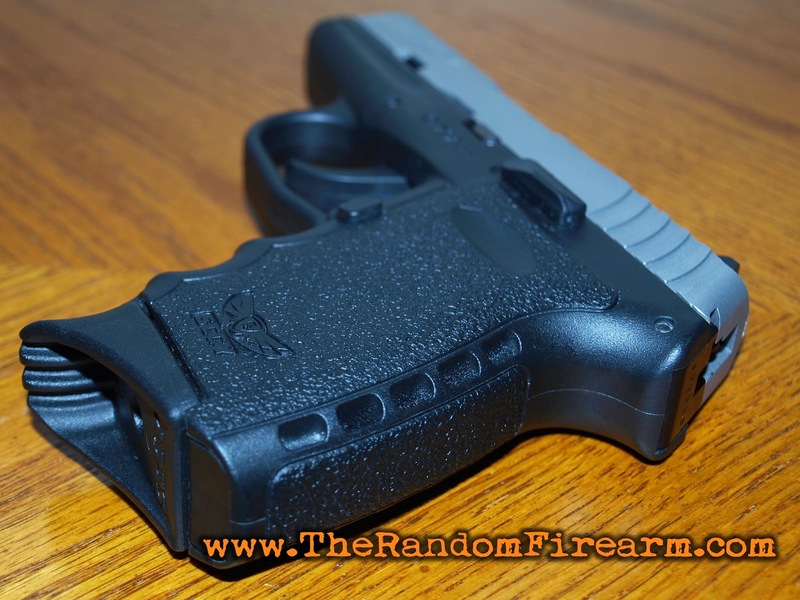 I do recommend this gun to anyone on a budget, or anyone who just doesn’t want to overpay for a good quality pocket gun. If you have any other questions about the SCCY, feel free to leave it in the comments. Or tweet us @RandomFirearm, and we’ll answer them. Be safe, and keep shooting!